A comeback to sporty looks is always a pleasure:) No matter how much I love wearing heels, I love wearing flats and sneakers as well. 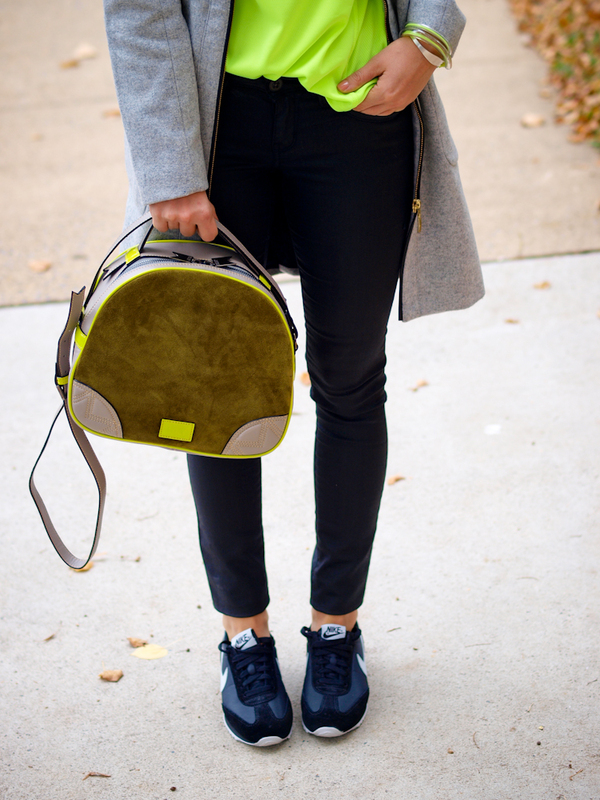 I wore my newest pair of Nike with skinny jeans, neon sport blouse, Zara coat and this very special bag, that I had the pleasure to receive it from Polyvore and the designer herself, Meredith Wendell. I chose this bag , of course, for the striking color combination and for the unique design. I just love it ! love this look! those sunglasses are amazing! That bag is fantastic..and I have loved the coat since last year..great combination! loving the pop of neon! so refreshing! I like this sporty outfit! It’s cool! Love your sporty casual look! love the shoes, the top and the sunglasses! Adorei os look … Fashion e confortável … Mistura perfeita!!! What a brilliant sporty yet formal outfit. The bag is amazing! This outfit is so kickass! 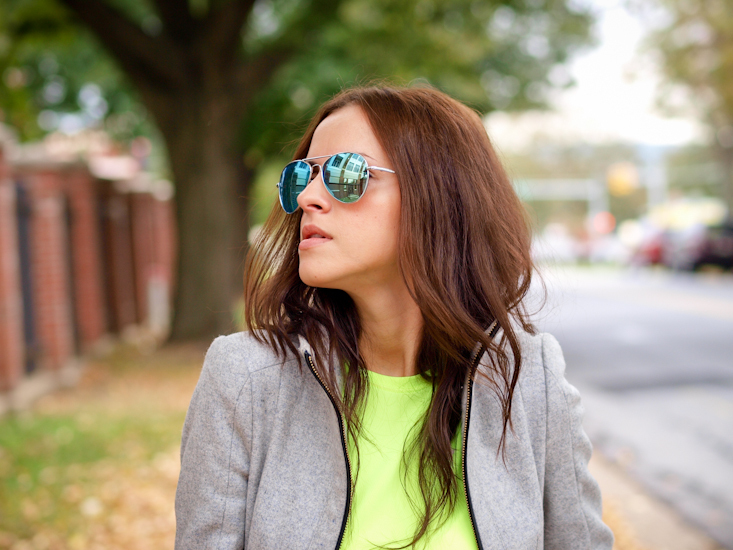 LOVING the neon, especially those aviators. i love the sporty vibe of this outfit and that zara coat is just amazing! So chic and comfy looking! 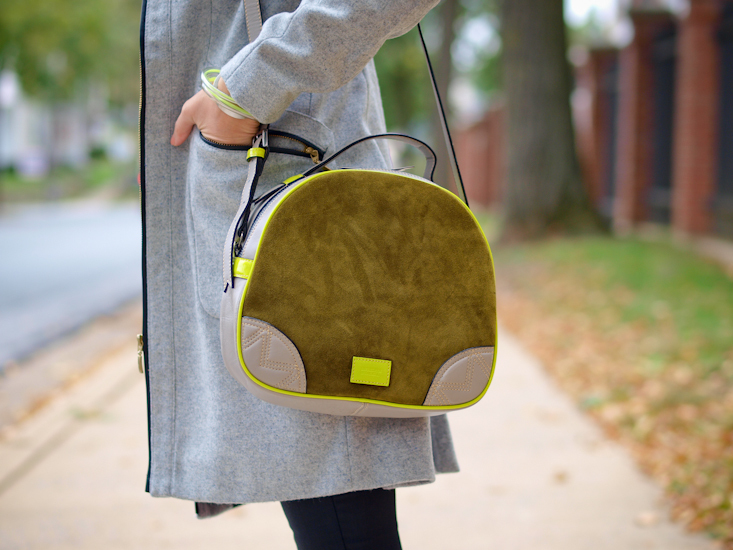 Love the bag…that mustard-y/green color is great! I see you’ve got also new balance sneakers! They are so comfortable, arent they ? Besides, I love your outfit! How amazing congrats on the bag! You look amazing! I was so in love with the instagram sneak peek of this look, and the full version is even better! You have such an eye for colour and bringing tones together in unique palettes and this look is no exception! 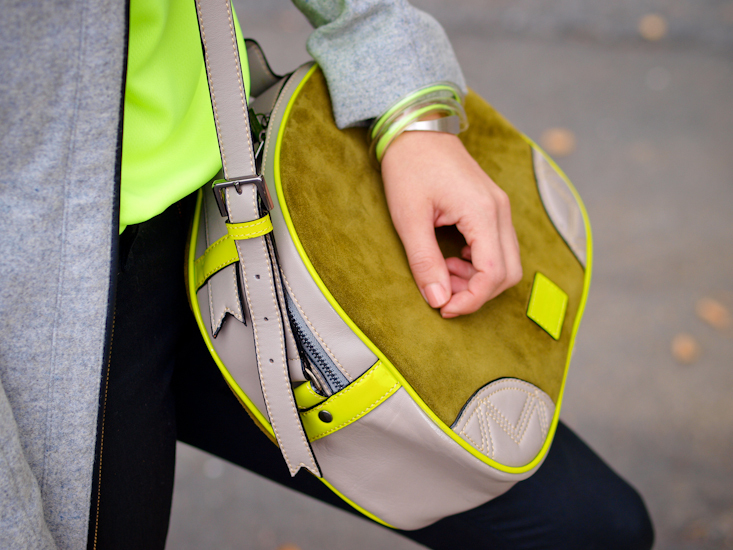 Very sporty chic! Love it! P.s Thanks for coming by and visiting! I love your Nike shoes! What model is it, Oceania? Thank you Natalia! Yes , the model is Oceania . Cute look! 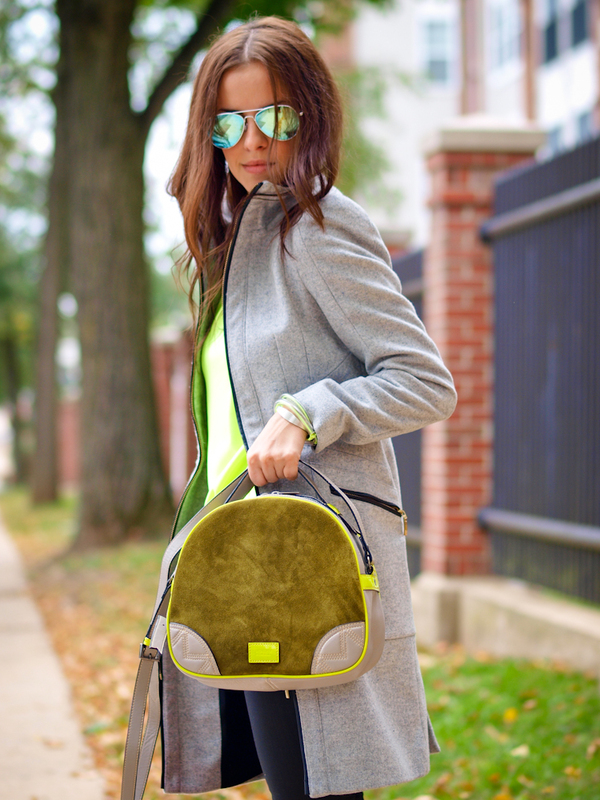 Loving your coat and bag! LOVE the color of that t-shirt! For me… heels… ALWAYS heels! Love this sporty look! The bag is awesome. Nice toe stand too! Casual, sporty chic. I like the pants and the bag – great pieces! Love the glasses and the bag!!! So cool <3 love those shoes! Me encanta tu outfit! Estás guapísima! Acabo de descubrir tu blog y me ha encantado, te sigo desde yaa! :D Un beso enorme guapa!! My favourite Outfit so far! Love it! I have a similar grey coat and you totally showed me the way to wear it and make it contempo!